Lcd Digital Sous Vide Cooker Circulator Immersion Cooker Temperature Control Seller China, Buy Lcd Digital Sous Vide Cooker Circulator Immersion Cooker Temperature Control from Shenzhen Dissna Technology Co., Ltd.
To : Shenzhen Dissna Technology Co., Ltd.
Subject : Get a quote for Product lead "Lcd Digital Sous Vide Cooker Circulator Immersion Cooker Temperature Control"
Sous Vide Cooker is designed for the gourmet who strives to create "restaurant quality dishes" in the comfort of their home. Professional chefs and high-end restaurants have been relying on Sous Vide cooking to achieve that perfect tenderness for decades.The term "Sous-Vide" is French for "Under Vacuum", referring to the process of vacuum sealing food, bringing it to a very precise temperature, and holding it there for a period of time to achieve precise and amazing results. "Sous-Vide" is synonymous with superior taste, and the highest quality.Sealing food in pouches permits it to cook in its own juices, retaining the vitamins and minerals from within the food, natural flavors are intensified, food is healthier, more tender, juicer, and tastier.The process relaxes the fibers in meat, poultry and seafood so marinades and seasonings are more easily absorbed for greater flavor.Cooker creates and maintains an even and accurately controlled cooking for perfect cooking results.The product can be used on meat, poultry, seafood, eggs, vegetables, and fruits.Spec:1. PC material2. Power : 1100W3. Voltage: 110-240V 50/60Hz4. Temperature accuracy: & 1770.2?5. Temp range: 32-210& 176F / 0-99& 176C6. Time range (timer): 0-99 hours7. Water cycling system8. Dry heating protection9. Adjustable timer and adjustable temperature system10. Circulation speed: 2500-3000 rotating speed11. Water pump circle direction: 360 degree12. Product size: 8.5 x 8.5 x 36cm13. N/W: 1kg14. Warranty: 12 monthCertificate:ETL/ROHS /CE/FCCAndroid 5.1 or lateriOS 8.0 or later and the iPhone 5 or newerFeature:1. WIFI control2. Touch screenPacking :Color box: 40.5 x 19.7 x 9.7cmMaster carton: 44 x 43.5 x 35cmQTY: 6pcs / carton20”/40”/40HQ”:2394pcs/4944pcs/5934pcsImportant Safeguards1. Use caution to avoid burns: Do not touch the hot surface or the heated water while using the sous vide. Turn off the sous vide and allow the cooker to cool before emptying water from the cooking container.2. Use caution to avoid electrical shock: Never immerse the power cord, plug, or entire cooker in water or other liquid. Do not fill the water past the [MAX] fill line. Never immerse the control panel or upper section of the device in water or other liquid. If the device or any of the specified areas is submerged, unplug the sous vide immediately and contact the Customer Care team.3. Operate the cooker in water ONLY. Do not use in any other liquids or operate outside of water. Maintain the water levels between the [MIN] and [MAX] indicators.4. Never operate the sous vide with the stainless steel element cover removed. Always ensure the cooker is securely clamped.5. Unplug from outlet when not in use and before cleaning. Allow to cool before storage.6. Do not let cord hang over edge of table or counter, or touch hot surfaces.7. Do not operate the cooker with a damaged power cable or plug, or after the product malfunctions or has been damaged in any manner.8. Do not place on or near a hot gas or electric burner, or in a heated oven.9. Place your cooking container on a heat protector or mat to avoid damaging work surfaces.10. Always seal food in a bag or jar before submerging it into the water of the cooking container.11. Consuming raw or undercooked meats, poultry, seafood, shellfish or eggs may increase the risk of food borne illness refer to the minimum cooking times provided within this guide.12. Do not use the sous vide for any use other than outlined within this guide.13. Spilled hot water can cause serious burns. Keep appliance and cord away from children.14. Product is not intended for outdoor use, and is intended for household use only. 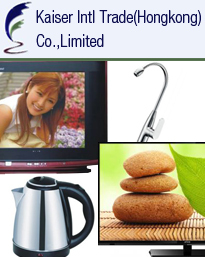 View All Products posted by Shenzhen Dissna Technology Co., Ltd.